I fell in love with this set when Mary released it. I also like the step card and making a scene. So, being as it is summer, I thought a sea scape would be fun. 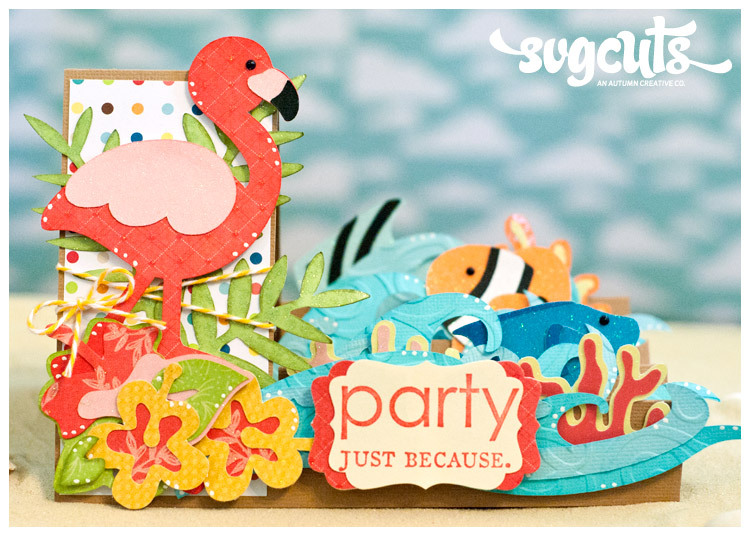 I love the tropical paper from American Crafts, so that was the inspiration for this color scheme. Here are the exact shapes, sizes and colors I used. Size to dimensions shown below with "Keep Proportions" checked in the Shape Properties window, unless otherwise noted. Cut all individual files, ink edges and use gel pen if desired. Assemble if needed. Use cuttlebug if desired at this time. 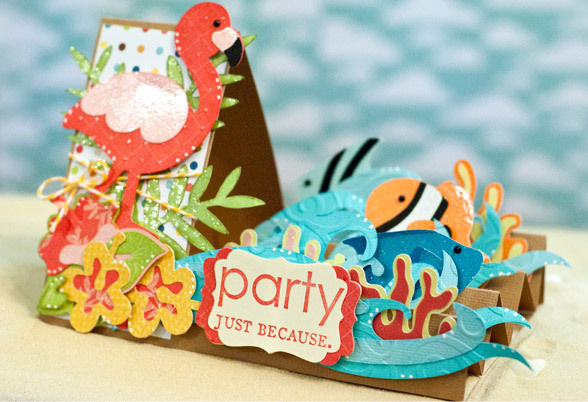 I used the swirls embossing folder on the waves. Begin to set images in place where you may want them and move them around till you like the look. Put some fish behind coral and some in front. Get a balanced look. Pleasing to your eye. Use dimensional’s if desired. For sentiment, stamp on ivory cardstock. 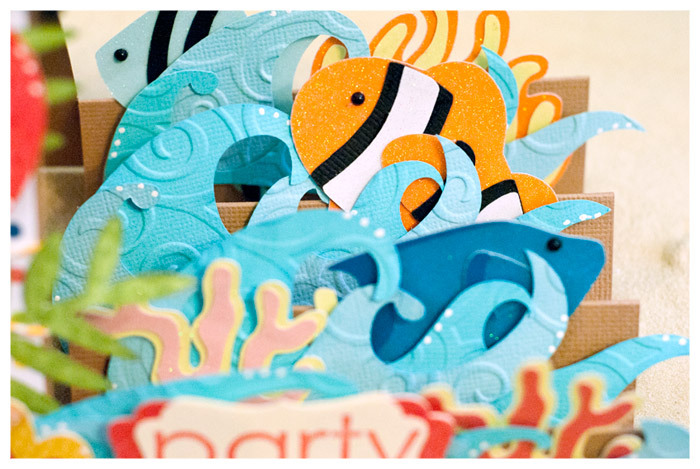 With the one cut from Designer Paper, cut in half and spread apart so it extends beyond the top layer. If any spots show from the front, trim off. Pick your color palette. Start with your Designer Papers, maybe. Choose your solids to coordinate. Keep it to only a few colors, easy on the eye. Use inking and embossing. It adds so much! I always use my gel pen, too. But, you already knew that, lol! Using dimensional adhesive is nice for adding depth as well. Plan your placement before you stick everything down. Then you can move them around if you need to. On the label for your sentiment. I cut them both the same size. The designer paper one, I cut in half, top to bottom and just spread it apart. If any bits show from the front, just cut off. Adhere. This type of project is always fun and is always fun to leave out for display. This would be great for a birthday, anniversary, or any celebration! Customize this for any occasion. Give it a try, I’d love to see what you come up with! 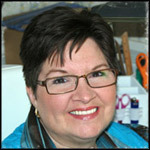 WOW Cheryl – your work is incredible. You + SVG CUTS = Creativity! This card is awesome. I never seen any card as beautiful as this one. Is there anyway to post the directions on how to make this type of folded card? Maybe the measurements also. Thanks so much. Your work is awesome.